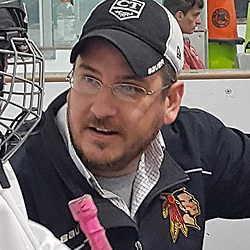 All too often, while amongst groups of hockey parents, someone almost always goes out of their way to bash the "elite" programs coming and going from a shared arena -- even following a humiliating defeat to one of them -- under the guise that the players aren't anything special, or elite, and that the program's supposed advantages are nothing but false promises. "If a kid is good enough, the NHL will find them..." is usually where the conversation leads. And it's a common argument against elite level hockey, you know, saying that it's simply a money grab for the organizations that take advantage of wealthy families who can "afford" the higher tuition and that it offers nothing more than what a town level organization can. While there are most certainly instances of that, it's far, far, far from the norm. 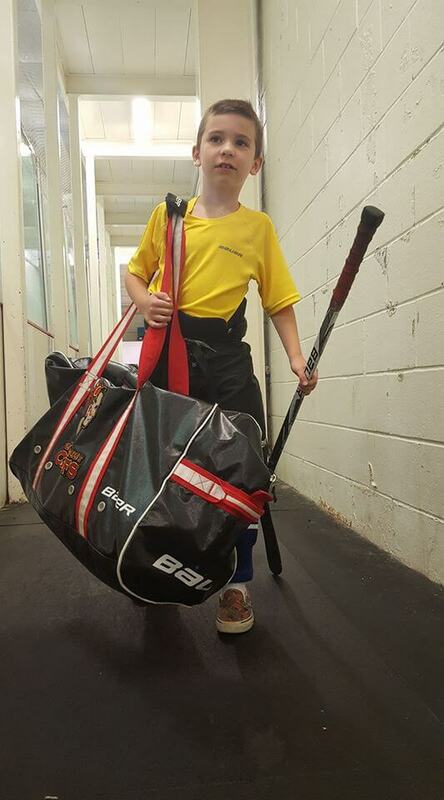 And, while it is true that there are amazing hockey talents playing in the lower level leagues and tiers, 99.99% of them that move to junior, college, or professional hockey move on to a higher level of hockey by age 10. Yeah, 10. Fourth or fifth grade. There aren't players walking on to NCAA Division 1 rosters from house league. And there certainly aren't players from tiny towns in central Arkansas getting drafted by NHL teams...unless, of course, they play for an elite team...likely not located anywhere near their home town. So for all those "stories" you hear about players from some town you've never heard of in the middle of Saskatchewan making it big...well, they left "no where" when they were kids. That's how they were able to make it big. Everybody knows that Wayne Gretzky is from Brantford, Ontario...but he moved on from there quite quickly. And no, it wasn't when the NHL or WHA came calling. It was when he was 14. Oh, and I should mention that even when he was in Brantford, his team was playing 70+ games per season at the age of 10? These days, at a local "town" hockey level, you're lucky to top 35 games in a season. Point being, he wasn't just some kid playing hockey every Saturday morning. More recently, we all know how Sidney Crosby hails from Cole Harbor, Nova Scotia and shot pucks at an old dryer in his basement. Keeps the "came from no where" illusion strong and they play it up in commercials for the products he endorses. Fact is, though, Cole Harbour isn't a "small" town -- it's just outside of Halifax. For those not familiar with Canadian geography, Halifax is the capital of Nova Scotia and has a population of over 400,000 in the greater metro area. It's not no where. Even still, he went to high school at Shattuck in Minnesota -- to play hockey when he was 15. A solid 2000 miles from home. And then played major junior for Rimouski, almost 500 miles from home. During the same time period, he graduated from high school...160 miles from home. His dad was drafted by the Montreal Canadiens too. Having a parent that reached a level of hockey that garnered them interest at the NHL level is a HUGE asset. Not only would his father know how, firsthand, to get to that level of hockey but he'd also have the contacts to accelerate the path. Not surprisingly, his dad played Major Junior 750 miles from home when he was 17 years old. Crosby wasn't some kid the Pittburgh Penguins "found" shooting pucks at an old dryer in his basement. He was a looooooong way from Cole Harbour. Fact is, Sidney Crosby isn't a "came from nothing and out of no where" story. No one in the NHL is. No one in the AHL is. No one in college hockey is. No one in Major Junior is. Every single one of them, under their own inclination or their parents, sought out a higher level of play before the age of 10. So before you bash your local Elite, AAA, Premier, or Tier 1 team, or laugh at the senseless travel you see other hockey parents committing themselves to, do keep in mind that those are the players and families that have already taken "next" step in developing a hockey player. Sure, there are kids that are great hockey players at the Tier 4 level and, yes, there are tons and tons of kids playing in the higher leagues that won't amount to anything more on the ice than a decent men's league player. But it's a total myth that "they" will find you if you're good enough...unless, of course, you define "they" as your semi-local Elite, AAA, Premier, or Tier 1 team. You know, the ones that are often criticized. If your son or daughter is lighting it up at the in-house level, word gets out, yes, to the higher level teams you share a rink with, for sure. Chances are, they'll reach out. But college recruiters and NHL Scouts aren't attending Tier 4 games at 7:00am on a Saturday, clipboard in hand. That's the reality of it all. Sorry to spill the beans. And, further, the only way to get better is to play alongside and against better players which is exactly what you find in the higher levels. Not to mention, with almost 100% certainty, the coaching is also better at the higher level. Like anything in life -- it's generally not in your own (or child's) best interest to be a big fish in a small pond. If you have dreams or aspirations of taking this hockey "thing" very far, you need to do a majority of the legwork yourself. The Red Wings aren't looking for you.